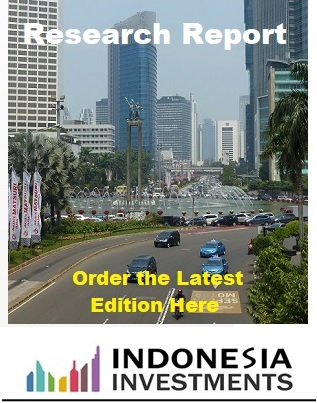 Adding more pressures onto the rupiah, Indonesia's Statistics Agency (BPS) announced on Wednesday (15/08) that the country's trade balance deteriorated significantly. 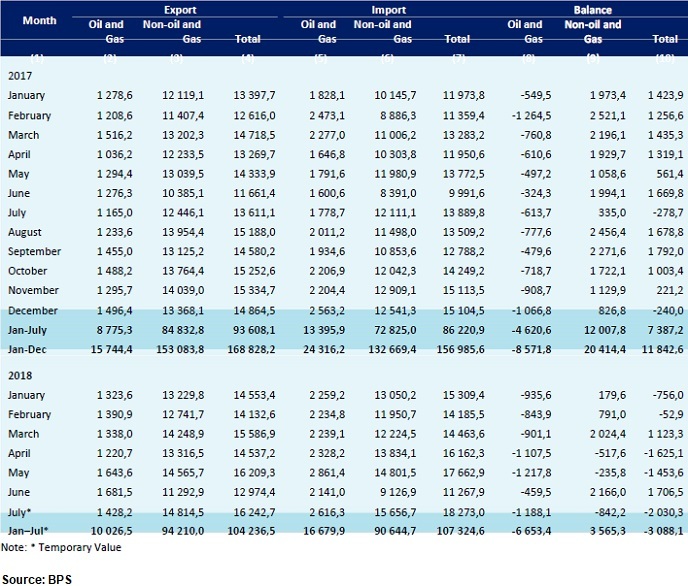 In July 2018 Indonesia had a USD $2.03 billion trade deficit, much bigger than had been expected by analysts (and constituting the widest monthly trade deficit in the past five years). The latest deficit was particularly attributed to rapidly rising imports into Southeast Asia's largest economy. Suhariyanto, Head of BPS, said Indonesia's trade deficit in July 2018 was actually different from before as the deficit occurred in both the oil & gas and non-oil & gas sector. Usually the deficit only occur in the oil & gas sector. Imports into Indonesia reached USD $18.27 billion in July 2018, up a whopping 31.56 percent compared to imports in the same month one year earlier. This is more than double the growth pace that had been anticipated by analysts. It is also worth noting that imports of consumer goods - although constituting only a very small portion of total imports (approx. 10 percent) - surged more than 60 percent year-on-year (y/y) in July 2018, indicating there is strong demand from the Indonesian market. Imports of non-oil & gas products rose 29.28 percent (y/y) to USD $15.66 billion in July 2018, especially due to a strong increase in imports of mechanical machinery and aircraft. Meanwhile, imports of oil & gas rose 47.09 percent (y/y) to USD $2.61 billion. Most of the imported non-oil & gas products into Indonesia in the January-July 2018 period originated from China (USD $24.83 billion), Japan (USD $10.45 billion), and Thailand (USD $6.34 billion). Exports from Indonesia surged 19.33 percent (y/y) to USD $16.24 billion in July 2018. Non-oil & gas exports accounted for USD $14.81 billion of the total, supported by a strong rise in exports of vehicles and car parts as well as the processing industry. Most of Indonesian exports are shipped to China (USD $2.19 billion), the USA (USD $1.59 billion), and Japan (USD $1.56 billion). Meanwhile, the country's trade surplus in June 2018 was revised to USD $1.71 billion. In the first seven months of 2018 Indonesia has to cope with a USD $3.09 billion trade deficit.